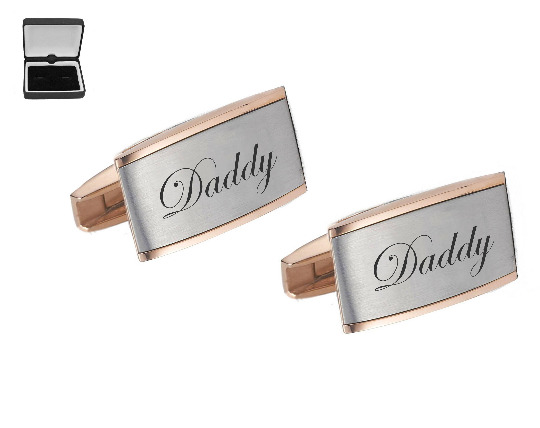 These personalized silver & rose gold two tone cufflinks can be custom engraved with initials or a date. Looking to add some style to your new suit? Or do you need some engraved gifts for your groomsmen/best man? These engraved cufflinks are a great accent to keep your suit looking sharp. 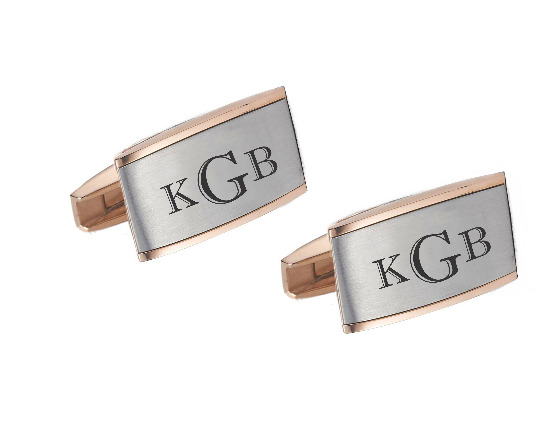 Each engraved cufflink can be personalized with a name or initials. By engraving a cufflink you add a sense of sophistication and style. There are many font styles to personalize your engraved gift with. Personalized cufflinks have always been very popular accessories that will make a great gift for any man. Please make sure you select your initials in the order you would like them to be engraved, to appear as we do not reformat the orders.